A lone castle nestled in a deep green valley in the mountains of northern France, invisible to any more than fifty yards away, sits majestically above a serene mountain lake. The year is 1950 and the war has left this small area untouched for the most part. sparsely populated it was not worthy of the attentions of the German invaders. Please, as a new character, do not blithely walk into the castle and have a seat on any convenient piece of furniture. New characters have to be approved by me and even then you are going to have to find the castle. Its not easily accessed. #DragonHall is set in the World of Darkness series by White Wolf Games Studios. The players of this chronicle can be found on Dalnet in #DragonHall. 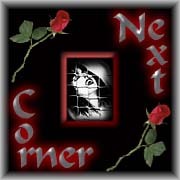 The channel accepts Vampire, Mage and Werewolf characters as well as immortal and dragon characters. Here you can access the Highlander: The Gathering and the Dragon: The Redemption rules. Both are based in the World of Darkness and use that rules system. I have added a few things and changed some others in the Dragon rules so please check with me when creating that type of character. Wraith and Changeling characters are not allowed and all new characters must be authorized by me. I will try to be in the channel every night from 9PM to 11:30PM Eastern to accept new character sheets. Please be familiar with the World of Darkness rules before attempting to play in the channel. It is difficult and annoying in the extreme to try to play AND explain the rules to someone with no idea of the basic premise of the game. This channel is not just for your enjoyment but for the other players and mine as well. I currently have one actual character and several NPCs that I play in #DragonHall. First is my actual Character whom I play most of the time and created following the same guidelines I impose on the rest of the players. His name is Kelis and he is a warrior of sorts very handy in a fight and not too slow on the uptake mentally. Auron - owner of DragonHall, a castle hidden in the mountains of Northern France. Gaston - a drifter with a sad past and a bleak future. Sesnem - a young hard studying medical student, a rebel with a cause...but what is her secret she keeps well guarded? Shahar - not much in a fight and sometimes too smart for her own good, but ever willing to cook and help keep life going smoothly. To find out more about these characters, you will just have to meet them for yourself. To see things from one character's perspective, take a look at her view of DragonHall. Some words on this page are Registered Trademarks of White Wolf Game Studios. Any use of White Wolf Game Studio's copyrighted material or trademarks at this WWW site should not be viewed as a challenge to those copyrights or trademarks. 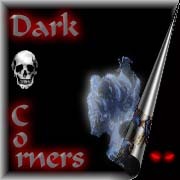 Visitor number: Please tell your friends where to find me..
Want to join Dark Corners?